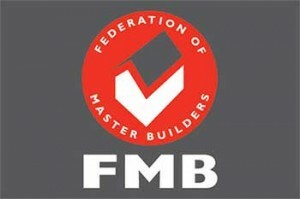 When advertising their businesses, tradesmen often display various accreditations to which they belong. To the average lay person, these initials or titles mean nothing. However, some of these titles indicate a particular qualification in the field. Displaying others means that the individual or business remains dedicated to providing quality services. 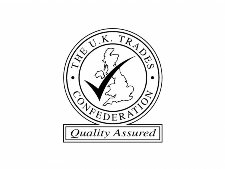 If your looking to take on a tradesmen in your area then we urge you to look out for these accreditations, we created this post to help you to understand the different ones and what they mean. Craftsmen must earn the right to belong to this organization and bear the title by demonstrating quality work and a commitment to customer care. If accepted into the guild, they must uphold the Aims and Objectives of the group, or risk termination of membership. Also known as the NFB, the 150 year old organization represents the interests of small to medium construction businesses by providing business and policy support in addition to being a supportive collective. The NFB remains one of three trade associations represented on the UK government’s Strategic Forum for Construction through the Construction Alliance. The organization protects the interests of small to medium construction companies by providing advice and support to members concerning the industry and business building. This group also receives representation on the government’s Strategic Forum of Construction through the Construction Alliance. The organization originally developed in 1995 as a means of promoting the construction and home improvement industries. The organization also protects business owners by supplying a range of services that included offering information concerning cost effective bulk purchasing agreements and legislative mandates. More recently, becoming a member means that the tradesperson follows a Code of Conduct that includes providing quality work and service. The Fenestration Self-Assessment Scheme is a subsidiary of the Glass and Glazing Federation. Registered companies belonging to the group must install energy efficient doors and windows per the building regulations required by England and Wales. After installation, the property owner acquires a certificate from the FENSA company or from a local Authority Building Controller. Registered companies remain subject to random evaluations by the organization for compliance with the building regulations. The registry represents contractors found in the United Kingdom, the Isle of Man and Guernsey and lists the engineers qualified to legally and safely work on boilers, cookers, fires and other various gas appliances. According to law, all qualified gas engineers must have their names on the registery. National Inspection Council for Electrical Installation Contractors is the United Kingdom’s foremost voluntary organization that ensures the competence of electrical contractors. Established over half a century ago, the groups consist of over 26,000 registered electricians. Members undergo routine assessment that ensures that they provide quality work and follow wiring regulations. If your looking for an accredited tradesmen why not browse our home improvement directory to look out for some of these accreditations. If your a business owner yourself you should ensure that you state in your listing the accreditations that you have.